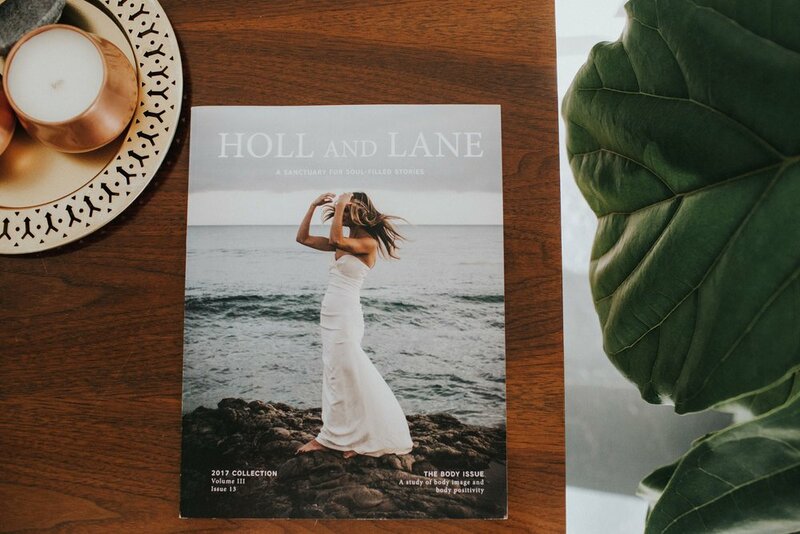 We're so excited to announce that our newest issue is now available in our shop. Featuring the theme, The Body, this new issue features stories of body image, documented through photo diaries, first person essays, interviews, and more. Body image is such an important topic for women as we've been made to believe that we must look a certain way. In this issue, we're removing that idea and celebrating ALL types of bodies and what they're capable of. Below, you'll find the Editor's Letter featured in The Body issue. As a woman, it’s often been built into my way of thinking that I need to look a certain way. I can remember being aware of what my body looked like from the time I was in grade school. I wanted my clothes to fit a certain way so that I’d look cute and attractive to the boys in my class. I knew that I had the mentality to take these thoughts too far, so as I’ve gotten older, I’ve refused to keep a scale in the house. I knew that if I did, I’d start to obsess and that it could easily spiral out of control, and to a dangerous place. When I was pregnant with my son, I had a very hard time seeing the beauty in my new body. I was in awe that I was physically growing another human being, but aside from that, I just felt ugly and out of shape. But after having him, something in my mindset shifted. I no longer felt the urge to get back into my size 4 jeans. I wanted to be healthy enough to chase after him, but the size of my pants no longer mattered. Since having him in February 2014, my weight has yo-yo’ed. Sometimes I’m happy with it, sometimes I feel that I should do something about it. But I know that to my husband and my son, I’m still the same person. I’ve tried to feel that same way. If they love me the way that I am, then I should, too. In this issue, we tackle body image and body positivity. Women across the world have been made to believe that we’re supposed to fit into a specific mold. But through this issue you’ll see women of all sizes and shapes and they all have one thing in common - they’re beautiful exactly the way they are.